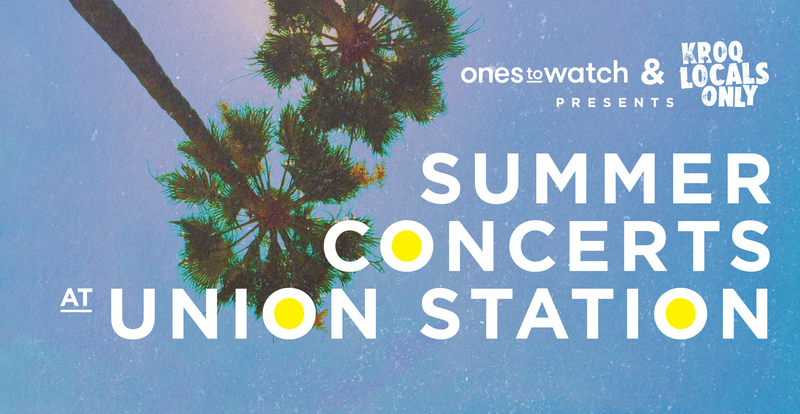 There will be plenty of free concerts to enjoy at Union Station this summer! Live Nation’s Ones to Watch and KROQ’s Locals Only brings emerging artists and DJs to perform at our historic station from 6:30 p.m. to 10:30 p.m. every Saturday night starting July 2 through September 3. Shows will be held in the station’s South Patio. The first concert this Saturday features Michael Leier, Bloodboy, Figs Vision and DJ Grant Owens. You can RSVP for the show here. To see the rest of this summer’s lineup, check the calendar here. Besides the concert series, there are other unique installations happening at Union Station this summer. Union Station 360, a multi-sensory experience that takes you on a journey through L.A.’s past and present via a projection sphere, will be open from July 15 through July 24 from 8 p.m. to midnight. And the exhibit Cabinet of Curiosities, which features work by Los Angeles-based artists and must be viewed through peepholes, will be on display from August 6 through August 31. Don’t forget there are other great free concert venues that are Metro friendly. The Levitt Pavilion in Pasadena is right above the Memorial Park Station. The Levitt Pavilion in MacArthur Park is a block away from the Red/Purple line. There is free music at other locations too, many of the farmer’s markets have live performers.